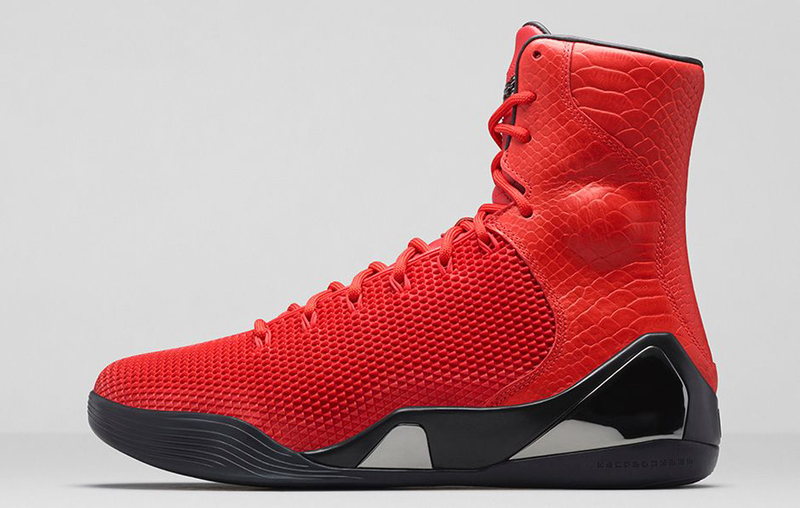 After a few previews, we now have an official look at the first 'KRM' Kobe 9 set to release. 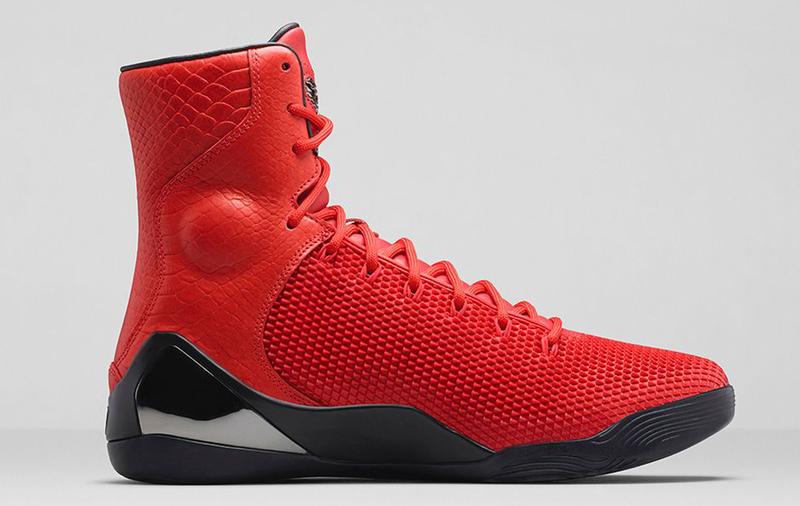 This Nike Kobe 9 KRM EXT comes in an all challenge red colorway. 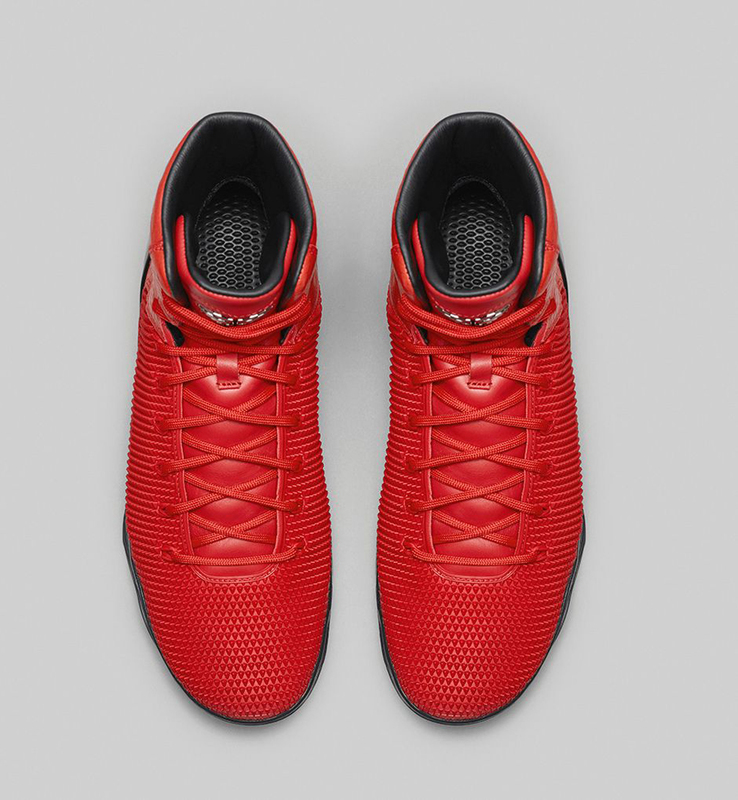 Featuring a red-based upper, made up of compression molded TPU triangles, mimicking the viper’s vibrant pointy scales and a scaly snakeskin leather on the heel and collar. 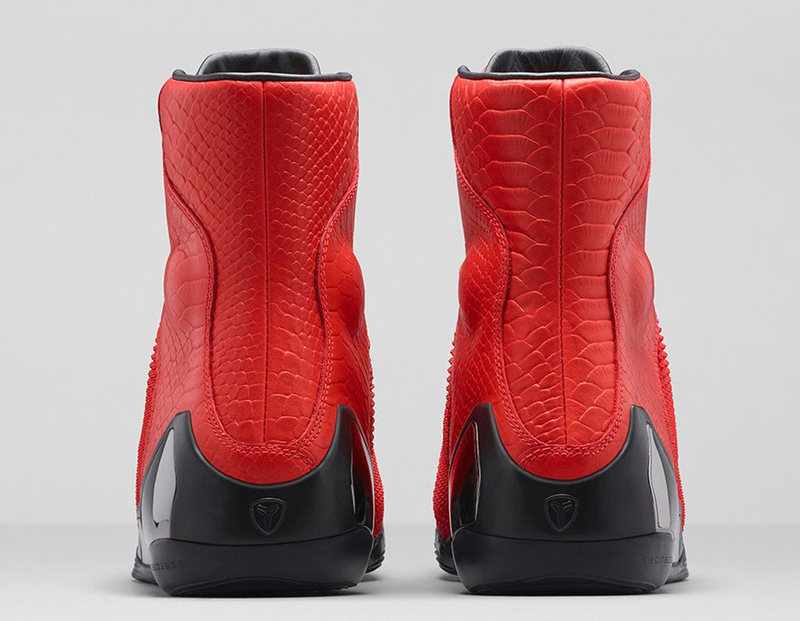 Black covers the midsole, outsole leather liner and insoles. 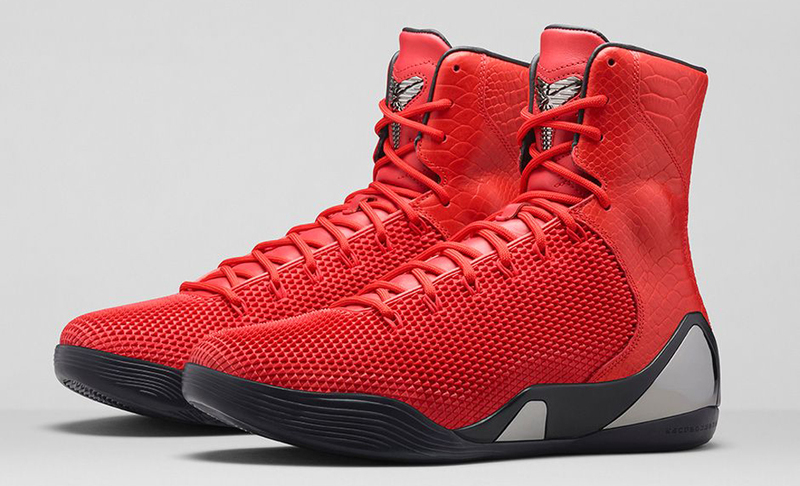 The 'Red Mamba' Nike Kobe 9 KRM EXT hits nike.com as well as select Nike Sportswear retailers on Friday, December 19 in limited quantities. Steve Jaconetta is the Release Dates & Archive Editor of Sole Collector and you can follow him on Twitter here.